Aladdin promised new lamps for old. The federal government, despite Trump’s recalcitrance, has decided to fund new bus stops for old, including on Routes 5 and 21 in the Southside Pride readership area. Planned improvements for these stops include: new shelters with heat and lights, electronic signs which tell you when the next bus is coming, curb bumpouts to allow near-level boarding, benches, bike racks, trash cans, emergency phones and security cameras. • Increased service on Route 2 eastbound weekday and Saturday nights. • Schedule adjustments on the A Line and Routes 2, 5, 9, 14, 19, 22, 134, 452, 724 and 755. 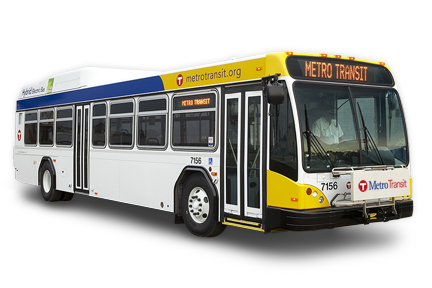 • A school day-only trip in the afternoons from Cretin-Derham Hall High School to the 46th Street light rail station will be removed from Route 74. • 8th Street routes downtown are moving to 6th Street, including Routes 5, 9, 19, 22, 39 and 755, thanks to construction. The Ramp A/7th Street Transit Center will no longer be used. Route 39 will start at Ramp B/5th Street instead. Route 14 already goes through there. • Decrease in service on Route 9 on Sundays early in the morning and late at night. • Route 14 moves from 4th Street to 7th Street downtown. The tradition of free transit on Saint Patrick’s Day will be in effect on Saturday, March 16, 2019, from 6 p.m. to 3 a.m. The reason for this is the parades will be held on Saturday instead of Sunday, and presumably most of the drinking and partying too. After all, being a good Catholic (in church with a hangover) is presumably a part of Irish pride, LOL! With the Franklin Avenue Aldi grocery store being temporarily closed for remodeling, some residents of the neighborhood are jonesing for access to cheap groceries. This would be a perfect opportunity for Metro Transit to show its community spirit and provide a temporary shuttle from the closed Aldi to the new one that just opened up in the old Rainbow Foods building near Lake Street and Hiawatha Avenue. Historically, transit in the Twin Cities has been funded by property taxes. Unfortunately, about 20 years ago, the funding source was changed from property tax to the Motor Vehicle Excise Tax. The illogic of this is astounding. One of the stated goals of Metro Transit is to get people out of cars and into using their service. However, if less people buy cars, then less tax for transit is collected. This is insane! Of course, the fact that Metro area counties have transit sales taxes softens the blow a little bit, but they are subject to economic conditions. Therefore, I’d like to propose a new dedicated transit tax that is used in places as diverse as Cincinnati, Ohio, and Portland, Ore.: an income or payroll tax. In Cincy, the tax is 0.3% and in Portland it is 0.7637%. Eugene, Ore., charges 0.74%, and the State of Oregon just instituted a statewide transit tax of 0.1%, which is in addition to the local taxes in the two cities mentioned above. The advantage of a payroll tax is that it correlates with employment, and rush hour service getting people to work is the most expensive service any transit service provides. Would Minnesotans accept a payroll tax for transit, or do they think the current system of Motor Vehicle Excise Tax and Governor Walz’s proposed increase on the sales tax on gasoline works well enough?